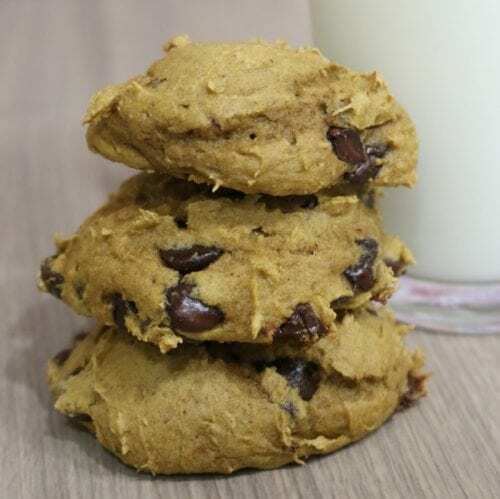 Make some delicious Pumpkin Spice Chocolate Chip Cookies with only 4 ingredients! 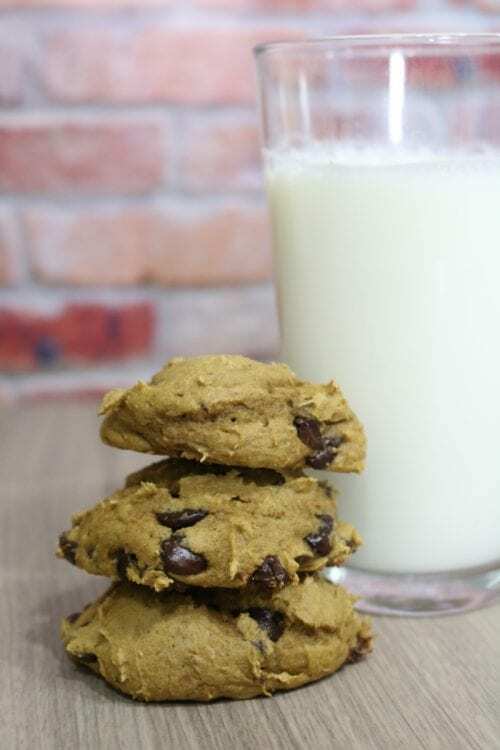 This easy recipe will have you eating pumpkin cookies in no time! During the fall, it is Pumpkin Spice everything! There are pumpkin spice candles, coffee, and last week at the store I even saw pumpkin spice dog treats! It’s almost comedic how pumpkin spice is EVERYWHERE! But that is because it smells amazing and tastes even better!! 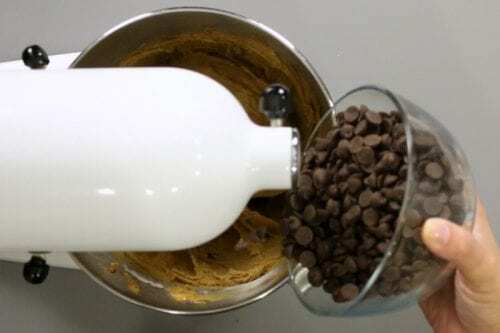 To join all of the fall pumpkin spice craziness, I am going to share my favorite Pumpkin Spice Chocolate Chip Cookie Recipe with you! The best part, there are only 4 ingredients!!! 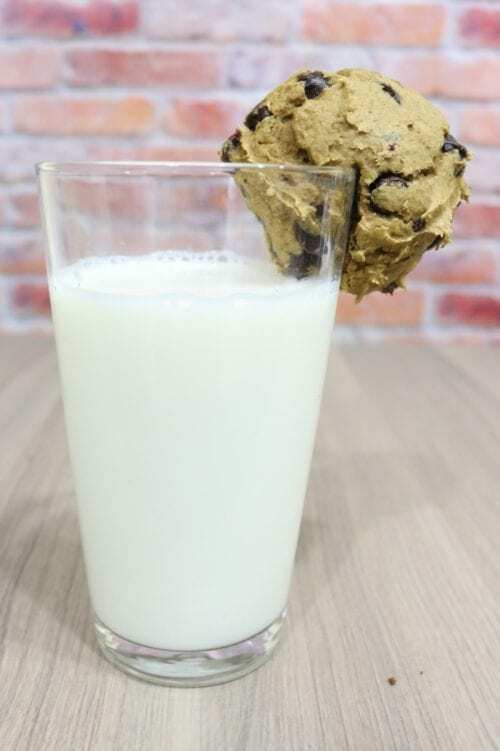 These cookies are super quick to whip together and are a delicious cookie! For a Printable version of this recipe scroll to the bottom of this page. In a mixing bowl combine the cake mix, the can of pumpkin and 1/2 tsp pumpkin pie spice. Mix until the first three ingredients are well combined. With mixer speed on low, slowly add the chocolate chips until completely mixed in. On an ungreased cookie sheet drop spoonfuls of the cookie dough. Bake at 350 for 15-18 minutes. Remove cookies from the cookie sheet and place on a cooling rack. Once the cookies are cooled they are ready to eat! How was that for easy! 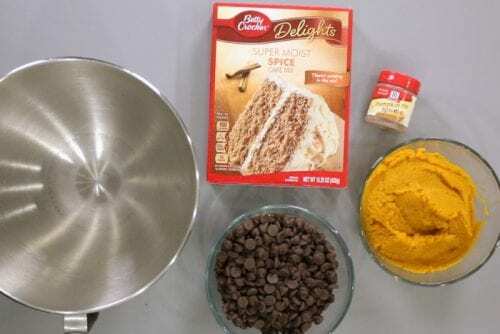 Do you have a favorite pumpkin spice recipe? Share and leave a comment below! SAVE HOW TO MAKE PUMPKIN SPICE CHOCOLATE CHIP COOKIES TO YOUR FAVORITE RECIPE PINTEREST BOARD! Bake at 350 for 15-18 minutes. 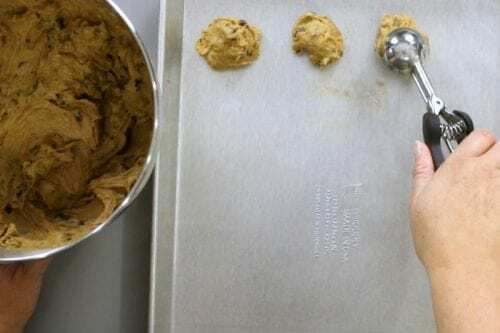 Remove cookies from the sheet and place on a cooling rack.